minimum ⋆ 100% Private Proxies - Fast, Anonymous, Quality, Unlimited USA Private Proxy! Is there a minimum color class cover algorithm for bipartite graphs? Let $ G$ be a bipartite graph with color classes $ X, Y$ . Is there an algorithm for determining a minimum set $ S \subseteq X$ such that each $ y \in Y$ is a neighbor of some $ s \in S$ ? Furthermore, are there any theoretical results related to this problem, such as bounds on the size of $ S$ based on degrees of vertices and sizes of vertex neighborhoods? I feel like this is a really basic problem, but I’m having trouble finding anything related to it. Any help would be appreciated. Thank you. My company is trying to adopt docker for new Web Services development on ASP dot net core. We use TFS as source control. My job is to come up with the minimum viable architecture for Asp Net core with Dockers. I have been doing POC’s with Windows server 2016. There is an concern in the company about code being saved in Docker hub. We could spin our own registry. But so far only Linux container is being supported. There is a windows 2016 and image [ stefanscherer/registry-windows] . I will have a hard time convincing my architect to use any non standard images. The only option would be installing Install Docker Desktop for Windows using Windows 10 or using Linux as Host OS to use the registry feature. Is this a fair assessment on registry ? Is it advised to have dedicated Host for Registry ? Dev; QA ; PROD – We will manually pull and run images in a container using dotnet core default Kestrel web server. 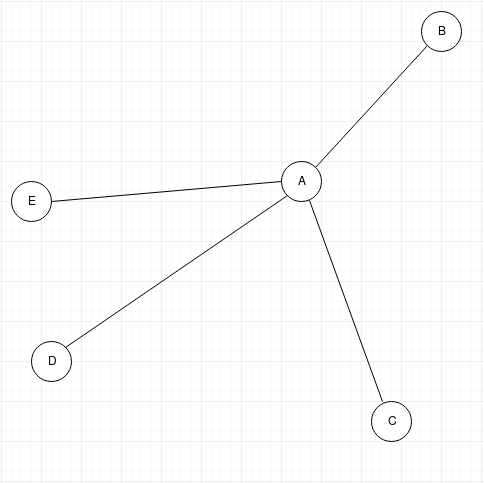 Given a positive-weighted complete graph $ G=(V,E)$ and an even integer $ k$ , I want to find a minimum weight matching of size exactly $ k$ , i.e., I want to choose $ k/2$ vertex disjoint edges such that the summation of their weight is minimum. I originally asked this question on StackOverflow but a comment was made to the effect that my problem pertains to Job Shop Scheduling and that it was more of a comp sci problem than a programming problem. It’s the first time I’ve come across this topic and I’ve tried researching with a view to solving my problem below, but to no avail – I am not an academic. Can anybody advise how I should be approaching this problem, or which algorithms I should research to help? Is it even possible to build something like this using DB queries alone (possibly with PL/SQL)? My goal is to develop a capacity model for the manufacturing facility at work. I have a process monitoring application where I need to determine tool capacity requirements based on a loading forecast. I have a selection of “Equipment” that process the product using “Recipes”. Time taken to run a recipe is specific to the equipment / recipe combination. So, for a given set of equipment, recipes, tool-to-recipe relationships & processing times, I need to determine what the quickest possible processing time is for a given loading. The table below shows a possible interaction, where the numbers in the columns are process units (e.g. hours). I’ve assumed processing time is the same for each tool per recipe (despite the fourth point, above). Assuming the following recipe quantities, is it possible, with a query / PL/SQL to determine the minimum total processing time for the processes? My real world example is more complex than this, I’ve just (hopefully) supplied enough information to explain what I’m trying to achieve. For example, I have tens of equipments running tens of different recipes. When I boot into Solus 4.0 with a live USB, the backlight can go extremely low, it even flickers slightly (flickers in backlight intensity, not on/off). I would describe it as 4 times dimmer than the minimum allowed brightness on Windows 10 and Solus 4.0 (partition on hdd; not live USB). I was very happy that the live USB allowed such a dim backlight, since I used to have to change colour icc profiles on Windows at night to “simulate” dimness (just lowering contrast). “Now I can actually lower the hardware backlight!” I said to myself, this behaviour was also present when using an Ubuntu live USB a few years ago. After installing Solus, I realized I couldn’t lower the backlight as low as I could compared to the live USB, in fact it is the same minumum as in Windows. I did a lot of research and now know that I am using amdgpu (not pro) and not radeon drivers, my brightness range is from 0-255 (from /sys/class/backlight/amdgpu-bl0/brightness and max_brighness), manually setting brightness file to 0 does not achieve desired backlight intensity from live USB, no decimal or negative numbers are allowed (invalid argument). I even went back and booted from a Solus live USB and everything was the same as far as I could tell, amdgpu drivers and 0-255 backlight range, however simply setting low integers in the brightness file yielding significantly dimmer backlight. I don’t know how to check if the drivers are the same version or anything else, so based on this info I’m asking if there’s any way to “port” the backlight behaviour of the Solus live USB (or Ubuntu for that matter) into my actual Solus partition. I assume that the solution is $ O(N^2)$ where $ N$ is the number of orders. Is there any linear time algorithm possible? I’m looking for a way to set a minimum quantity per product in a Drupal Commerce store. I found this one which is useful if you need to set a minimum in the order but it doesn’t help to set a minimum in products. Given a string of parentheses, write a function to compute the minimum number of parentheses to be removed to make the string valid (i.e. each open parenthesis is eventually closed). For example, given the string “()())()”, you should return 1. Given the string “)(“, you should return 2, since we must remove all of them. Usually the functional approach is shorter and tend to be easier to understand in comparison to imperative approaches. However, in this case it doesn’t have any advantage to the imperative approach. I guess it is due to the nested structure in the functional solution.